Let's Communicate: Find Us on Facebook! 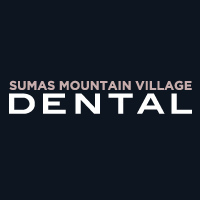 We all know Facebook is a great social media tool for getting the word out, so we decided to create our official Sumas Mountain Village Dental page to keep our patients updated on all our news! Facebook creates numerous opportunities for networking and connecting with patients, colleagues, as well as friends and family. At Sumas Mountain Dental we want to broaden our horizons with regards to how we communicate with our patients. By ‘liking’ our page and following us, you will be able to keep up with our recent news, advancements and state-of-the-art technology. You can message us directly, ask questions on our wall and inquire through our website link. We want all of our patients to have access to our current dental practice information. Our team at Sumas Mountain Dental Centre understands how important social media and digital communication is to our patients and our relationship with our patients. Communication is the key to any strong relationship and by keeping you up to date on our dental practice and services we hope to build a long-term relationship. We understand life gets busy and we can’t always be in touch, but with our new Facebook page you can hear about what is new and upcoming at Sumas Mountain Dental Centre at all times! ‘Like’ us today on Facebook and ‘share’ our dental practice with your colleagues, immediate family members, distant cousins and friends. We want you to keep in touch at all times, whether you have an inquiry about our services or if you just want to say hello! We are only a click away and we’re also on Twitter and YouTube!